Melvin Smif’s Geekery is nothing if it isn’t a weird amalgamation of various nerdy interests. So while I typically delve into Tabletop Gaming, I need to speak about my latest passion, Pokemon Go. This little app game has it’s claws in me so deep I can cite more than one late night excursion into the wilds of my suburban neighborhood seeking one of the more elusive Pocket Monsters. It’s a genuine worldwide phenomenon. Its popularity likely surpassing even the expectations of its creators, and we’ve really only seen the beginnings of this game. Pokemon Go is the team effort between Nintendo, The Pokemon Company, and Niantic, inc. that utilizes GPS tracking to pinpoint a player’s location within the real world to overlay an Augmented Reality fictional Pokemon universe. Pokemon are randomly placed throughout the world, often even generating based on regional types, water Pokemon tend to be near Lakes, Rivers, Ocean etc. & if you want a Scyther, head to the park. On top of catching these critters players are also encouraged to visit landmarks, derived from data gleaned from Niantic’s previous AR game Ingress, to collect items (from areas deemed “Pokestops”) or battle against other teams (in areas known as “Gyms”). Augmented Reality can be fun. 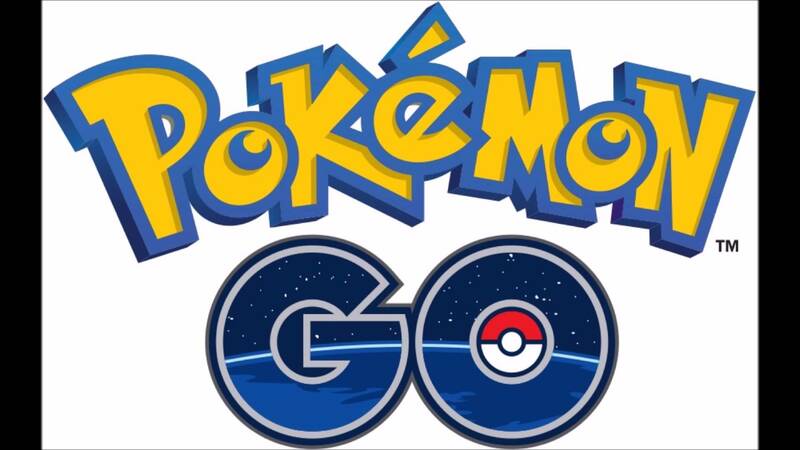 Pokemon Go’s mission seems to be to get people outdoors, visiting landmarks, and interacting with fellow players. There’s even a method for rewarding movement via the inclusion of Pokemon Eggs that react through a pedometer function to log the distance you travel, hatching a Pokemon when that distance is reached. I can say earnestly that, in my experience and via much of what I’ve seen online, this mission has been met, and exceeded! It is safe to say this game has been an overwhelming success. I’ve had some truly great personal experiences since the game’s launch on July 6th. My wife and I have both been playing , it’s gotten us out the door walking more and our kids love helping us catch the Pokemon around our neighborhood. You can easily enjoy an afternoon stroll paying casual attention to your phone, via glances or awaiting a telltale rumble signifying that something is near. We’ve seen a bevy of others out walking and playing too. It has also been a blast taking on a Gym together! At the time of this pic it was lvl 8. Now level 9! This past weekend my wife and I had the pleasure of attending a good friend’s 30th birthday party in Columbia, Missouri. Amid the usual activities like going to dinner and catching up with friends were sprinkled moments of “Guys! There’s a <insert Pokemon here> outside!” followed by the bulk of the party hitting the neighborhood streets in search of it. Later that night (and by later I mean midnight until 3 am) we drove through the downtown district catching Pocket Monsters and hitting up Pokestops. We also took on a number of gyms throughout the weekend, smartly collaborating early in the game to all choose the same team (Team Instinct baby!). 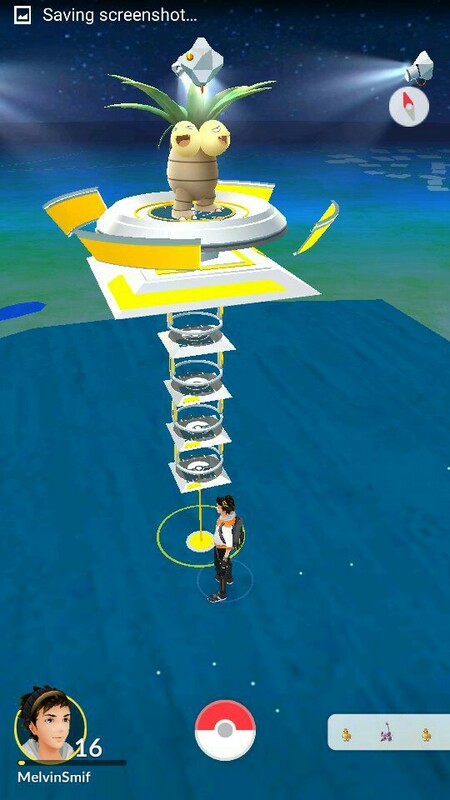 We even crafted a monstrosity of a gym on the outskirts of town, pumping it up to level 9. That gym is still holding strong three days later. Some other great memories from this weekend are. Watching someone from either team Valor or Mystic drive up to our beefy gym, see a carload of Team Instinct players then decide he was never going to do any damage to us and drive off with a wave of defeat. My friend and I sprinting (unnecessarily) to add some extra Pokemon to another yellow gym we came across. Me yelling “Get that Puff!” to a stranger whom I knew was trying to catch the same Jigglypuff we were after. Me threatening to use my phone as a hammer “for all the good it was to me” because it wasn’t loading the game. Honestly there are so many fun things I’m forgetting, I’m certain. It was all just a blur of gaming and friends. 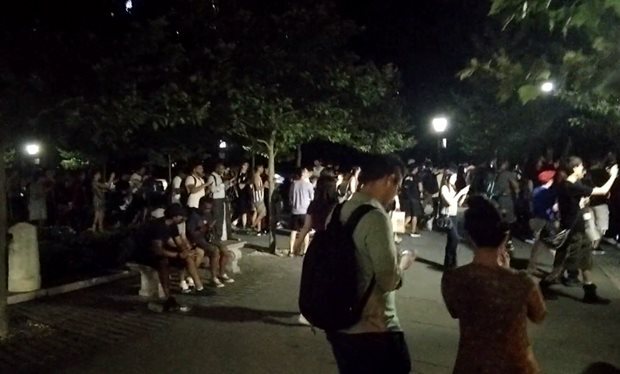 Now, Pokemon Go is a solid success, but it is far from a perfect specimen of gaming yet. 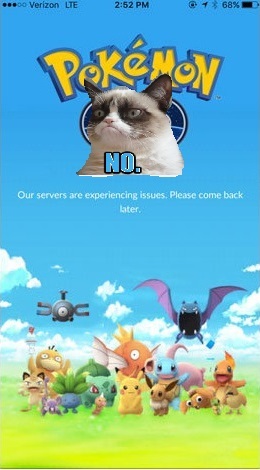 I have plenty of issues with the gameplay and reward system alone but the true monumental task Niantic will need to be dealing with over the next few weeks and system updates will be simply getting the game to run correctly. Server outages are the main complaint people have, followed closely by the game freezing up and generally being difficult to get into. On multiple occasions over the weekend, and before, just getting into the game long enough to enjoy it was a hassle. Often at least one, if not more of our group, was blocked from getting into the game. Gym battles were always tough for me. For some reason I freeze up in those constantly. 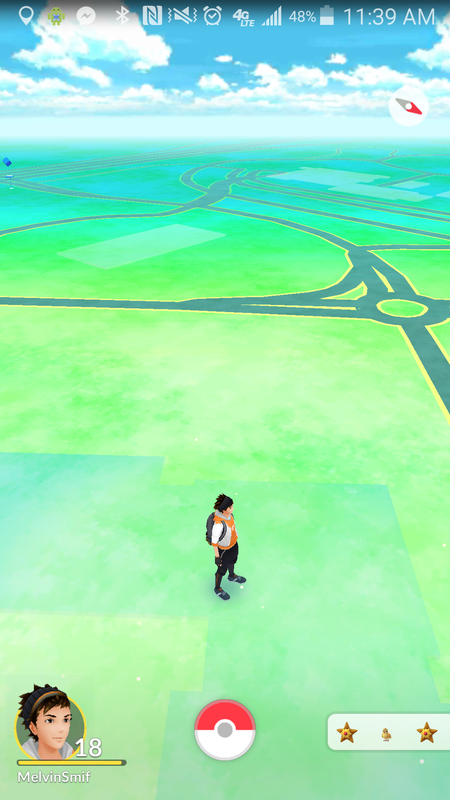 The game also comes with a supposed tracking system for nearby Pokemon but it hardly ever works correctly, for a bit I would see one or two footstep Pokemon, but lately it’s always been a three steps away symbol. The game is sadly ripe with glitches and bugs, but honestly much of that is just a company attempting to meet overwhelming demand. It stands to be seen how well they do fixing these issues. For now, I’m content to deal with them. The major issues to fix are bug and server related, obviously, but I’ve also been pondering the game-play itself. They do a lot of things right in the game. 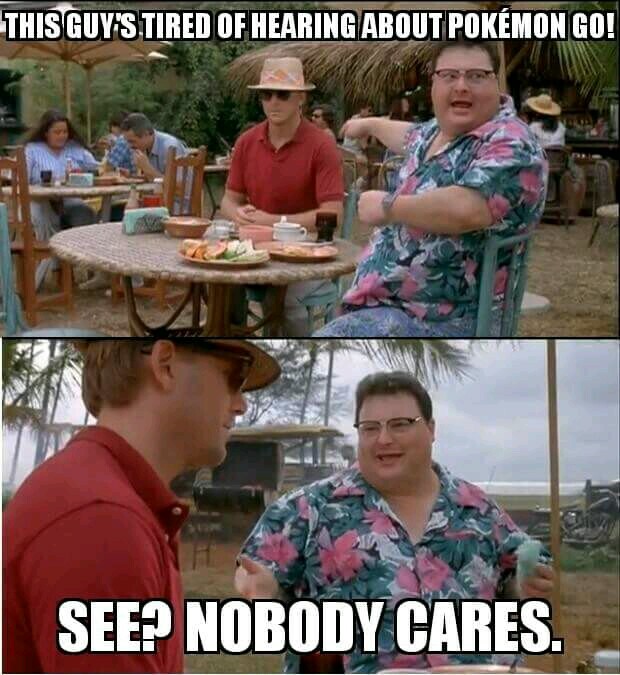 There is a pay to play aspect that the casual player, someone just seeking to catch Pokemon, can usually ignore if they wish. 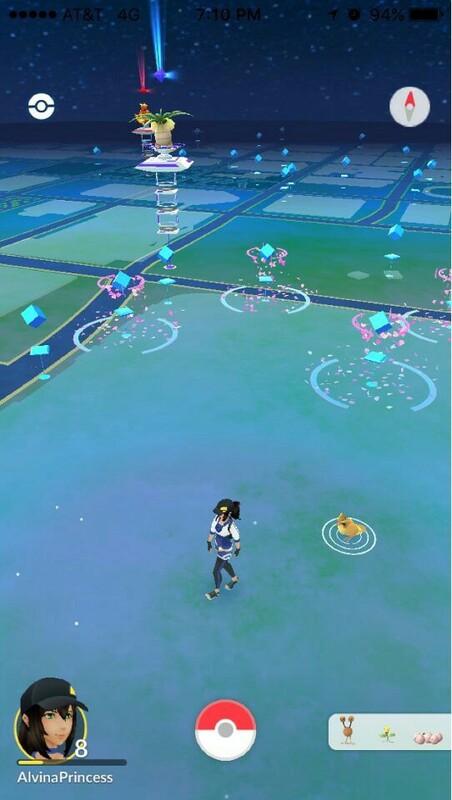 Items are plentiful at Pokestops, but you have to have Pokestops near you to make use of them. This isn’t an issue for people in heavily populated areas, or even rural areas with a lot of landmarks, but if you live somewhere very plain vanilla suburban (like me) you have a hidden cost, in gas, to playing the game. You have to drive to find Pokestops or you’re stuck purchasing Pokeballs. My city has a population of nearly 100k and I have only two Pokestops within a mile of me, and the next nearest one after that is easily five miles. Compare that to some towns around us we are a veritable wasteland. I was nearly dizzy with excitement to see the bevy of ‘stops in Columbia this weekend. The gym system is fantastic fun, but if you aren’t someone who started this game week one, you’re not going to be able to even touch a gym for a long time unless of course you hook up with some buddies as there is incentive to start a gym with easy to defeat Pokemon that you then beat up to raise the prestige. The “Defender Bonus” you receive for owning a gym is paltry and makes capturing gyms more of a pride thing than anything else, the reward is so low that it’s more of a pat on the head than anything else. I also take issue with the fact you don’t get some kind of extra reward for having held a gym for the 20 hour time limit between reward collections. It really seems like they need either lower the time limit between collecting the Defender Bonus or give you more for it. Right now unless you luck into holding multiple gyms, it’s almost not even worth collecting. One of my bigger complaints lies with the tone of the game. So much of the appeal of Pokemon in the past was about obtaining a Pokemon and then working with that Pokemon to level it up and watch it grow as you modify it’s abilities. In Pokemon Go the Pokemon you start with are quickly eclipsed and you simply cannot utilize the same Pokemon who were your starters later in the game. Hell, you can’t even use the same Poklemon from three levels ago. It’s a completely different style, and frankly a huge grind. 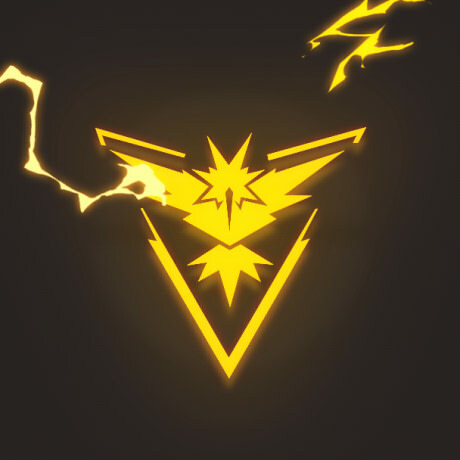 Other issues aside, battery draining and data soaring issues, Pokemon Go has captured me, my wife and family, and my friends in its talons and shows no chance of releasing us soon. I endeavor to catch them all, and train to be the very best, like…well… you know how this goes. I hope you all give this game a chance, and don’t let the haters get you down. Sure there have been accidents related to people behaving foolishly while playing this game but since when is that new to people in any hobby. If someone calls you silly for playing a “kids game” they are hypocrites and jerks, laugh em off. Have fun out there and (as my father always says) be aware of your surroundings! 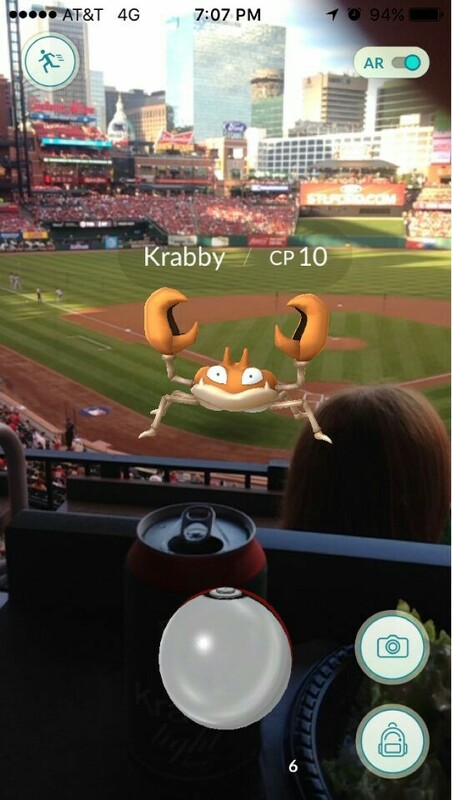 Gotta catch ’em all! P.S. Fellow Team Instinct Trainers. Meet me at Gen Con! We shall rule the gyms of Indianapolis! The brave adventurers crawl through the darkness barely keeping ahead of their pursuers while battling the denizens of the Underdark’s nooks and crannies. Monster tokens… HO BOY was this the chapter for Monster Tokens. These two adventures took place using the details laid out in Chapter 2 of Out of the Abyss so I went crazy and made Monster Tokens for anything they could potentially run into during their long trek through the Underdark facing random encounters. Another item of prep was rolling randomly on the tables provided in Chapter 2 to set up the myriad of random places\creatures\events that cropped up. I accepted the fact that there was the potential for deviation here but for the most part things fell into line. MAPS: I created a variety of maps for potential encounters. I also printed out a map for The Lost Tomb location since that was something I rolled randomly and they found. Lost Tomb – Pulled from the book. BUPPIDO – Derro. Surprisingly affable. PRINCE DERENDIL – Quaggoth who claims to truly be a cursed elven prince. ELDETH FELDRUN – Shield Dwarf from Gaultlgrym. Heroic to a fault. Willing to sacrifice herself for the good of the group. JIMJAR – Taking all in stride this Deep Gnome is also a compulsive gambler. Even when there’s nothing to gamble. 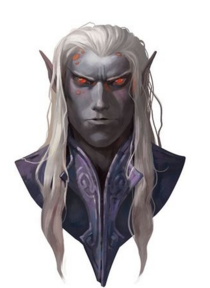 SARITH KZEKARIT – A drow imprisoned for the murder of another drow. Though he claims no memory of it. SHUUSHAR THE AWAKENED – A Kuo-toa pacifist. He hopes to one day spread his message to others of his kind. DAWNBRINGER – Sentient Longsword, was locked away for ages. Fears the dark, wishes only to be brought out and to shine a light against it’s enemies. She has now bonded to Ander. ILVARA MIZZRYM – Drow Priestess of Lloth. Recently imprisoned the PCs and their Cohorts with intention to turn them into slaves. Now she hunts them all across the Underdaaarrrrrk! (“I’ll get you!”). ASHA VANDREE – Junior Preistess of Lloth. SHOOR VANDREE – Drow Elite, current lover to Ilvara. JORLAN DUSKRYN – Drow Elite, spurned lover to Ilvara. Assited in the PC’s escape to spite Ilvara. 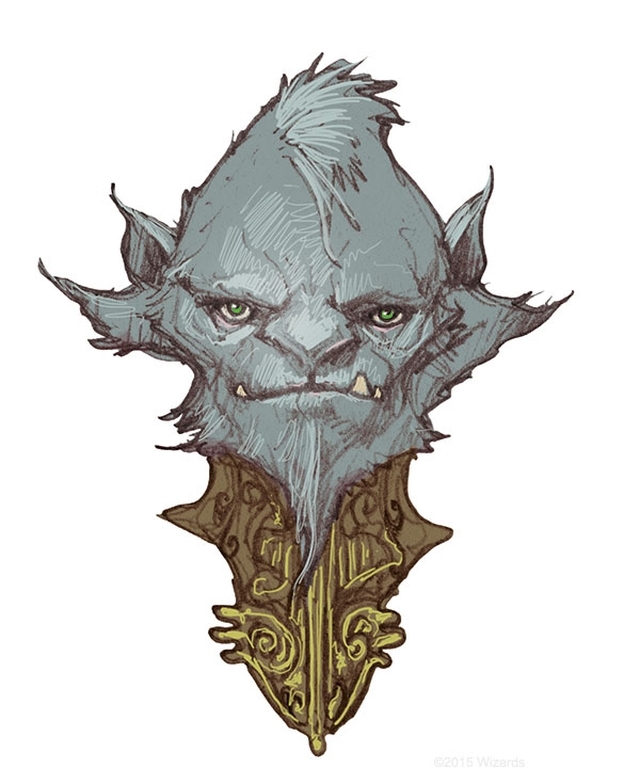 Runnar Haftholder – Dwarven Scout, had just left the city of Sloobludop. Was convinced to return with the PC’s and NPC Cohorts in tow. 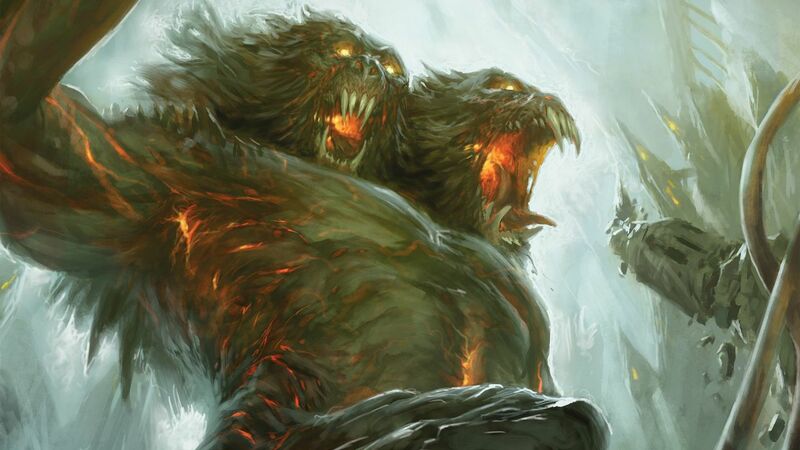 I combined these two adventures because they represent the long, 8 day, crawl through the Underdark the players had to accomplish as they proceeded to their next destination of Sloobludop, city of the Kuo-Toa (Look… I know Gary Gygax created the Kuo-Toa, but I’m not certain if he is the one to blame for their F$%*ing names. If he is… man is he lucky I have so much more to thank him for…). Right from the start they realize that they are going to have to rely on someone very unreliable to guide them… the Drow, Sarith Kzekarit. He was the only one who truly knew his way to Dark Lake where Sloobludop lay. Shuushar could assist if they got near Dark Lake but he had no clue how to get there. The fact that their Drow captors quickly revealed that they were in pursuit ensured that the matter was quickly put to rest and they pushed on. Funny thing about the depths of Fearun, you can never tell when it’s day or night. However, the heroes had to rest at some point. Beaten and bedraggled they prayed for a full rest. They were not so lucky. Only a matter of hours later they were beset by an Orcan..Orcian…ORCISH raiding party. The fight was fortunately brief but they were really starting to feel their wounds. They opted to move out rather than attempt to rest again, fearing the pursuing Drow. They opted for a normal speed of travel. They could have moved faster, with penalties to perception checks, or slower, to improve stealth and foraging, they were pretty good on supplies from when they luckily found their gear though. Trudging through the next day they were relieved to encounter no beasts and to get a full rest beneath the protective domes of some giant shrooms. Three more days passed like this with only one brief encounter with some forward scouts from their pursuers and a cave-in that they barely survived. Sarith had a rare moment of pleasant chatter when he mentioned that the cave-in would at least slow down Ilvara and company. Joy at that was short lived however when they happened upon the lair of a Rocktopus! It really wanted to have a few adventurers for dinner. Turns out things went the other way for the beastie. On the sixth night all were awoken by a ruckus as they discovered a crazed Sarith treating Shuushar to a frenzied beating. They pulled the slavering drow off the poor wretched Kou-toa and restrained him. While most of the group tended to Shuushar Solaris worked up the nerve to delve into the deranged Drow’s mind. Casting Detect Thoughts he was immediately beset by waves of terror and madness that permeated every inch of his surface thoughts. Probing deeper, because Sarith had little willpower to resist anything at this point, Solaris began to feel the Drow’s connection to some great entity. An obsession to find & serve her. He could go no further though, the madness was too much. Day seven of their trudge brought about something strange. They began to feel almost a whisper in their minds. Soon it began to take form. They discover they are hearing a mental communication. A feminine voice echoes in their mind claiming to be lost and in need of rescue. Fearful of the dark. The group was almost split in its decision of whether or not to follow the vague impressions being given to them of where to follow. Eventually they decided to trust that someone truly did need their aid and they followed. They happened upon an ornate door. The players left the NPCs behind for this one, asking Derindel to keep a close eye on Sarith, thought the Drow had been silent for most the day. They entered the structure beyond the door. Upon entering they discovered a diorama depicting the fact that this was the tomb of a long dead sorcerer, Brysis Khaem. They continued searching, often being urged on by the mysterious voice. They found what appeared to be the room of the main Sarcophagi. It turned out to be a ruse however, as a curse burst forth while a Magic Mouth uttered a dire threat. Rurick found himself disadvantaged on Attack Rolls and Saving Throws as a result of failing the saving throw. They fought a group of Spectres in a room filled with small coffins, Rurick laboring under the effects of the curse. After fighting the Spectres Rurick was done, simply raging at his misfortune. He wanted to leave. However, another of the adventurers spotted some rollers affixed to one of the smaller tombs and they pushed it aside revealing a final room in the tomb. Within it was the true resting place of Brysis Khaem, but the sorcerer had arisen once more in the dark form of a Wraith! A battle ensued, throughout the fight the voice continued to cry out that it was “Right here, come grab me! Please! I can help!”. It wasn’t until after the fight that the players discovered the source of the pleas for help. A long sword, finely crafted and apparently sentient. Her name was Dawnbringer. She immediately felt a kinship to the party’s Paladin, Ander. They were soon bonded. Upon leaving the tomb, and discovering to their relief nothing amiss had occurred while they delved, they moved on. Near the end of their long day they discovered the lapping shore of Dark Lake. It’s size was immense, they knew of no way to cross it. However they did notice a small flicker of flame coming from a nearby cave. They decided to brave it. Within the cave was a Dwarven scout by the name of Runnar Haftholder. Runnar had actually just come from Sloobudop, and had no desire to return. He quickly changed his mind however when told of the impending Drow slaver group heading this way. Grumbling about the crazy Kuo-toa he finally agreed to take the group on the boat he had “acquired” from the fish people. They slept, knowing the next day they might at last be in some form of civilization, despite Runnar’s harsh words for Shuushar’s people. I fully believe I could have made the Underdark more interesting. I spent a lot of time prepping physical props for these games and less on just how I was going to package the oddity of the place to the group. I did better on their second night of Underdark crawlin’, especially with the Lost Tomb, but I could sense they were just ready to get to civilization. Though, Sloobludop was a terrible place anyway, so they weren’t all that excited to get there (more on that in the next write-up as I realize I’ve tipped my hand at being late to write these up). In the Lost Tomb I forgot that the place was infested with an essence known to inhabit portions of the Underdark known as faerzress. This chaotic magic causes magic to react weirldy and can spawn rolls on the Wild Magic Surge table from the PHB. Really bummed I missed my chance at wielding that tool. Chapter 2’s Random Generation tables and details are legit. They take care to have encounters based on the denizens of the deep and some interesting locales. Often times both. Chapter 2 doesn’t only craft the encounters for the trip to Sloobludop (though that will almost always be the direction the characters will first head), it covers any trek through the Underdark, and some of these treks are a Month or more long in game time! Random encounters aren’t always bad, plenty of desirable things can happen as well. There is a strong chance your players might tire of trudging through the Underdark and from the look of things, this is going to happen a lot. It is becoming apparent that it may take a lot of time for the players to be doing ANYTHING beyond struggling around and getting mixed up in things they probably don’t care about. The trick I need to work on is figuring out how to get them more invested in things beyond survival alone. Well, that’s it for these two adventures! Join me soon for Adventure 5! If you have any questions or wish for some embellishment on something I mentioned hit me up in the comments. Or on Twitter @SharnDM. Detracting from my typical style, I have decided to run a premade 5th Edition D&D setting for my players. For this I decided to choose the most alien concept possible for them, the newest addition to Wizards of the Coast’s (WotC) line of super adventures, Out of the Abyss. For those unfamiliar, OotA is a setting placed almost exclusively within the Underdark of the Forgotten Realms. A world beneath the surface filled with treachery and danger, wildly strange to anyone who calls the topside of Forgotten Realms home. I found myself excited by the prospect of running something so tied to this strange land and was really glad the guys agreed to give it a go. Once I discovered the sandbox feel this Campaign Setting provided I was doubly glad to use it. So without further ado, I’ll begin my first post-game write-up! 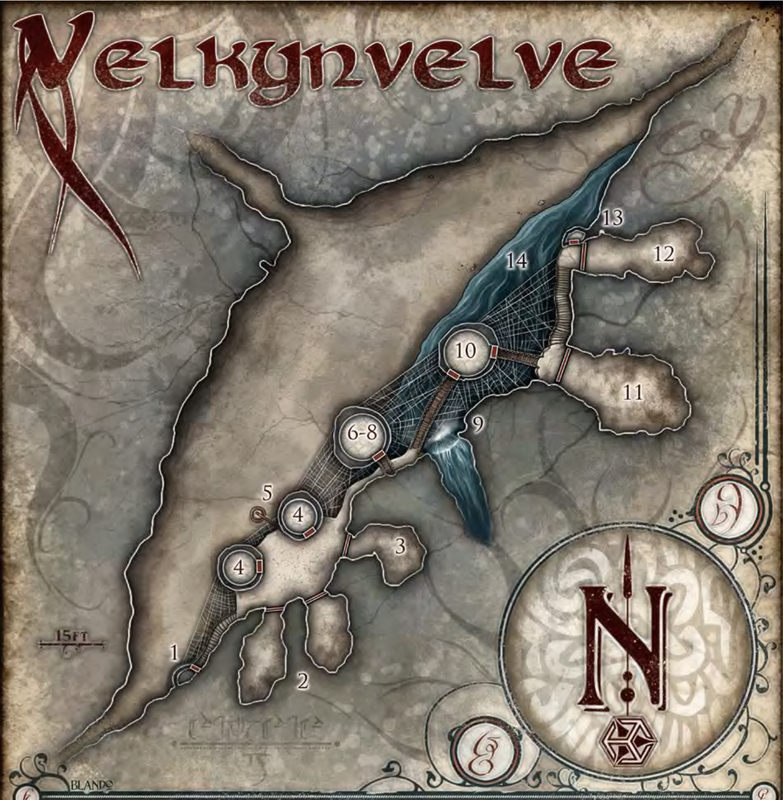 Velkynelve, an outpost high above a cavern floor. Home to the dreaded drow, their quaggoth servants, & giant spider pets…and our PCs prison! The players begin this Campaign in some pretty dire straits. They have been captured and imprisoned by a group of Drow located at an Outpost far away from any civilization, even the Underdark kind. They are not alone either, there are ten fellow prisoners NPCs trapped with them. Many of these NPCs are denizens of the Underdark but that doesn’t save anyone from the slaver’s binds. The PCs and their NPC companions must attempt to work together if they are to escape before they are carted off to the Drow city of Menzoberranzan where chances are even slimmer for escape. Man there’s a lot of prep leading into this adventure. There are TEN potentially friendly NPCs to juggle. For me that was a lot of time spent getting a rough idea of what to sound like when roleplaying these individuals and ensuring I was familiar enough with their stats to use them in any potential combats or skill based encounters. Fortunately I found a resource a Reddit user posted that gives a great three page spread of these NPCs where you have their stats laid bare for use. NPC1: BUPPIDO – Male Derro. Surprisingly affable. NPC 2: Prince Derendil – Quaggoth who claims to truly be a cursed elven prince. NPC 3: ELDETH FELDRUN – Shield Dwarf from Gaultlgrym. Heroic to a fault. Willing to sacrifice herself for the good of the group. NPC 4: JIMJAR – Taking all in stride this Deep Gnome is also a compulsive gambler. Even when there’s nothing to gamble. 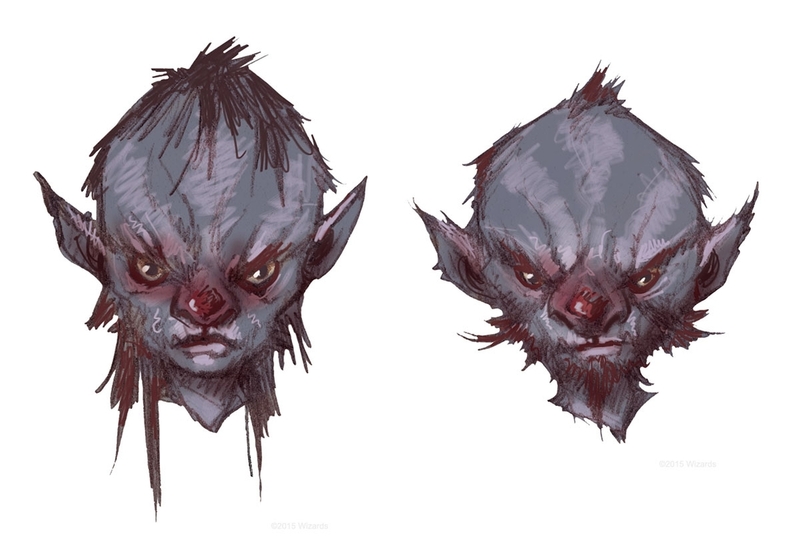 NPC 5: RONT – A bully of an Orc. Tries to intimidate others but falls under the same pressure easily. 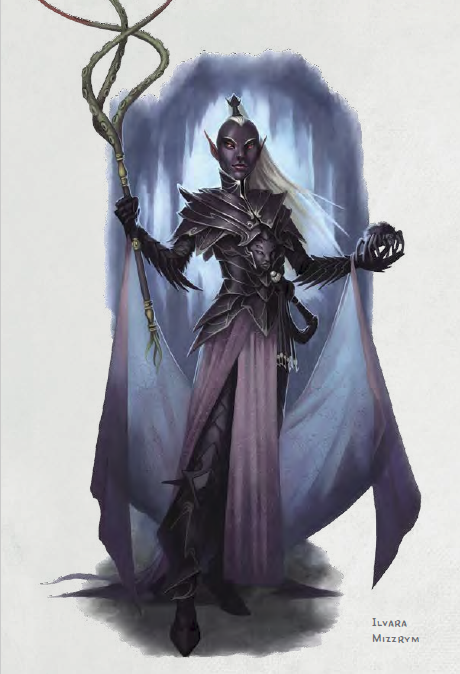 NPC 6: SARITH KZEKARIT – A drow imprisoned for the murder of another drow. Though he claims no memory of it. 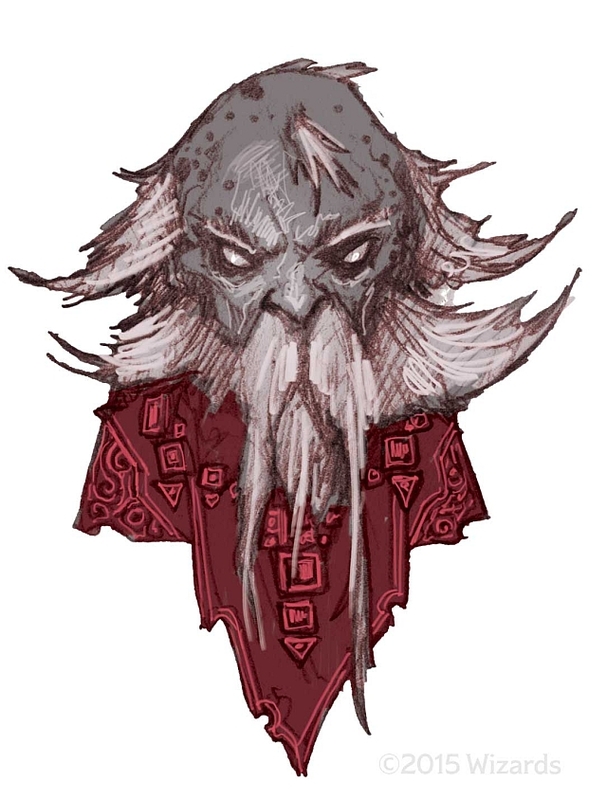 NPC 7: SHUUSHAR THE AWAKENED – A Kuo-toa pacifist. He hopes to one day spread his message to others of his kind. NPC 8: STOOL (aka “TimTum”) – A childlike Mychonid Sprout. NPCs 9 & 10: TOPSY & TURVY – Two quiet Deep Gnomes, share very little and keep to themselves. I really feel like the burden was placed squarely on the DMs of the world to produce the stats for these NPCs. This is something that should have had at least a page of info on in the book. The OotA guide does a great job of providing background info on all these characters, why not their stats as well? Especially because it is heavily insinuated that these characters might be around for some time. Made a spreadsheet, that will continue to grow, detailing what Monsters/NPCs might appear per chapter and where to find the stats for them in the Monster Manual or in the back of OotA. The book details a number of options the players might go with and even provides the DM with some “nudge” options that I liked. I chose the Musical Score “Underground Lake City” by Richard Daskas as my ambiance music as I enjoyed not only the subtle darkness of the piece but the fact that the water effects played nicely with the fact there is a waterfall present at this outpost. Rolled randomly to determine where the drow would be storing the player’s stolen gear. I decided pre-game that they would have to stumble upon it, I was not going to ensure they would get it back as many expect in a prisoner situation. They would have to get lucky, or clear the place out. Sadly I’ve not received any fully fleshed out backstories from the guys yet but they might fill in those details a bit later. I do have a few bits to share though. The guys were informed right away that they were imprisoned by the Drow (my buddy was betting on Duergar and was sorely disappointed). Learning they were not alone they spent a little time getting to know some of the other prisoners. Corbin found himself approaching the reserved Deep Gnome twins Topsy and Turvy. He found their behaviors and mannerisms strange, but they’d been in here the longest (decided by random roll) so who was he to judge. From them he learned just how much the cards were stacked against escape as they detailed a large squad of Drow, Drow elites, and Quaggoth that stood in the way of escape. Rurick, immediately establishing his boisterous attitude to this particular setback, found himself befriending the Mychonid named Stool. Rurick nicknamed the little guy “Timtum” before finally hugging the fungal humanoid allowing some “rapport spores” to enter his brain via his ears and suddenly the two could talk. Though the connection was a psychic one Rurick continued to speak his end of the conversation aloud, which simply made him look mad to the others. Time passed and the guards decided to bring a few of the prisoners out to the “yard” to do some demeaning labor. Rurick, Solaris, and Stool were chosen to go but Ander somehow convinced the guards he should go in Stool’s place. The labor was essentially moving large rocks to the side of the cliff and dropping them over. This served no other purpose than further discouraging escape as it showed the players that the only escape from this outpost was down past enormous webs guarded by giant spiders. Rurick attempted to hit a spider with a rock but failed. Solaris sang a little and actually did so well the guards enjoyed it. Meanwhile, Ander had decided he’d already had enough. Sensing an opportunity he succeeded in thieving a short sword right out of the hilt of a distracted guard and began some combat. Things went better for the three than was to be expected. Ander immediately killed the drow he had stolen his weapon from with a blast of divine might that sent its body flailing over the cliff. As the drow flew a number of drow poisoned bolts fell upon the ground and Ander scooped them up. Rurick squared off against two drow and built up a furious rage, punching one square in the face. Solaris proved the most helpful however as he fully charmed one of the quaggoths standing nearby and sending it into the fray on behalf of the players. In the four rounds of combat before reinforcements showed up the players and their quaggoth recruit killed two drow, two quaggoth, and almost downed a drow elite. Unfortunately for them, it wasn’t enough. During this time one of the prisoners, Jimjar the deep gnome, attempted to do some wagering with Hunar about the survival of the three combatants. Hunar was not amused. Soon, Ilvara Mizzrym, the Drow Priestess of Lloth in charge of the outpost, herself came with Tentacle Rod in hand. With her were ten more drow, hand crossbows pointed at the players. Solaris surrendered, Anders struck down the staggered quaggoth in front of him and set a defiant pose, Rurick simply didn’t cease his fighting. All three of the tentacles struck home, dropping Solaris and Ander. Rurick remained standing though and said simply “You’d better kill me!” With that, ten drow bolts were launched that eventually dropped him, miraculously not killing him. Ilvara drug the unconscious three to her chambers for a few days of torture, making a show of it to the other prisoners. The next two days did not go well for the three upstarts. For the next two days the rest of the prisoners remained submissive to their captors, who were doubly cruel after losing a few of their own to the fray. Corbin started paying attention to the guard rotations and noticed that one of the guards was a drow wearing the garb of an elite, a heavily scarred individual known as Jorlen. He was the only elite who ever had to pull guard duty and by the looks of him he did not care for the assignment, quickly dismissing the other drow who were supposed to run the detail with him. Corbin decided to attempt to speak with the dark elf. Jorlen was not very receptive at first but Corbin proved most diplomatic and persuasive so Jorlen eventually opened up. Corbin was able to discern that Jorlen was deeply unhappy with the way things were currently. He was once the right-hand elf and lover of Ilvara but that changed after an accident robbed him of the full use of his right arm and his features. These days she flaunts her new relationship with a younger drow elite named Shoor. 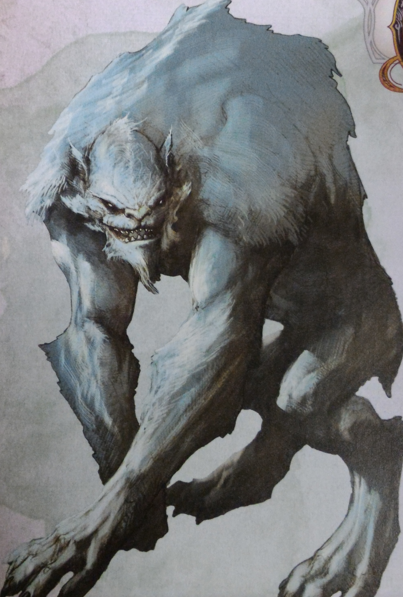 Shoor takes full advantage of his position as the new head of the regular drow and the elites. It is he who placed Jorlen on guard duty. Corbin attempts to leverage the dark elf’s disdain into something of use but the drow merely continues to mock the captives. Jorlen does let slip one bit of advice though. Ilvara intends to make an example of one or more of the prisoners after she tires of torturing the three who started the fight. He cautions Corbin to not “stand out” in the near future. True to his word when Ilvara brings the victims of her scourge back the very next day she declares one of the lot will be fed to the spiders. She chooses Topsy, one of the deep gnome twins, seemingly at random. Corbin attempts to persuade her to take him instead but she laughs off his noble gesture. When the guards grab for Topsy her brother Turvy attempts to stop them resulting in his being drug away as well. The rest of the prisoners overhear their plaintive cries as they are thrown to the spiders. Corbin vows revenge for the poor deep gnomes. A few days later some items of interest arise. Corbin continues to foster a relationship of sorts with Jorlen, who appears to tolerate it with a measure of tedium. Stool convinces Rurick to get the others to accept the Rapport Spores so they can speak in secret via the telepathy it allows. The group begins to get desperate as it is well known the envoy from Menzoberranzan approaches. Their chance comes soon though from an unlikely source. Jorlen shows up for his shift in a rage of a mood. He also shows up with the character’s daily meal, a chore he was apparently given this day by Shoor. Feeding the prisoners is apparently quite the slight because he pulls Corbin aside and declares his intentions to leave their cell door unlocked so their escape attempt can be an embarrassment for Ilvara and Shoor. It is apparent he holds no real love for Corbin or the others though as he laughs off Corbin’s gratitude stating that he doesn’t believe they will actually make it very far, and they’ll receive no further help from him. The group of prisoners agree with one another that it’s worth the risk of torture to attempt an escape when Jorlen leaves the cell unlocked, even if it might be a trap. Over their time as captives they had collected a few items the could use as potential weapons (an iron bar and a drow poison dart) but they knew that stealth would likely assist more. As Jorlen leaves he casually drops a dagger at the cell door and begins his walk. The captives discover the cell door unlocked, true to Jorlen’s word, and then witness him flippantly tossing a drow over the ledge to the spiders. It seems Jorlen’s temper was in rare form. The players and their NPC fellows slipped out into the quiet camp. They headed to the right, as this was the direction of the waterfall they normally cleaned their chamber pots in. They had noticed the path continued past the waterfall but had never ventured that far. As they went beyond their regular route they came upon a cave where a few quaggoth slept, the smell giving away that the cave represented the quaggoths’ lair. Ahead of them was a small building hanging off the ledge, overlooking the gorge below. Corbin and Ander snuck ahead and peered inside. A pair of drow were holding casual conversation, apparently they eagerly awaited the arrival of the relief group from Menzoberranzan. The two drow would never see that group however as Ander and Corbin made sure the two fell to bottom of the cavern below, they never saw the attack coming. Ander was even able to lift a short sword off one of the drow before killing him. Corbin exited the building and looked down. He could see that a pool from the waterfall lay below them, but was unable to tell its depth. He took a chance and sent some dancing lights towards the water below. He was just making note of the fact it was too grimy on top to determine its depth when a shrill screech was emitted from below. The dancing lights had disturbed the rest of a foul creature, identified by Hunar, as a Vrock. A chain reaction then tool place. The Vrock awakened all in the outpost and they began to defend themselves, but the Vrock was more concerned with another, bug-like, creature that began attacking it. It was chaos. Jimjar mentioned above the din that he had seen a lift when he was brought in, but it was on the other side of the outpost. The group decided to utilize the chaos of the creatures fighting to try and push through. They ducked through one of the stalactites, taking out the distracted drow inside, and hoofed it towards the lift. They decided against seeking out Ilvara, and her junior priestess Asha, and ran past the shrine to Lloth. They spied the lift in the distance but there were a lot of drow and quaggoth between they and it so they ducked into another stalactite. Inside they defeated a drow elitie warrior while a few of the others held back the drow who were trying to get in the room. In a group of chests the PC’s discovered their looted gear. It was at this point we all called it a night. 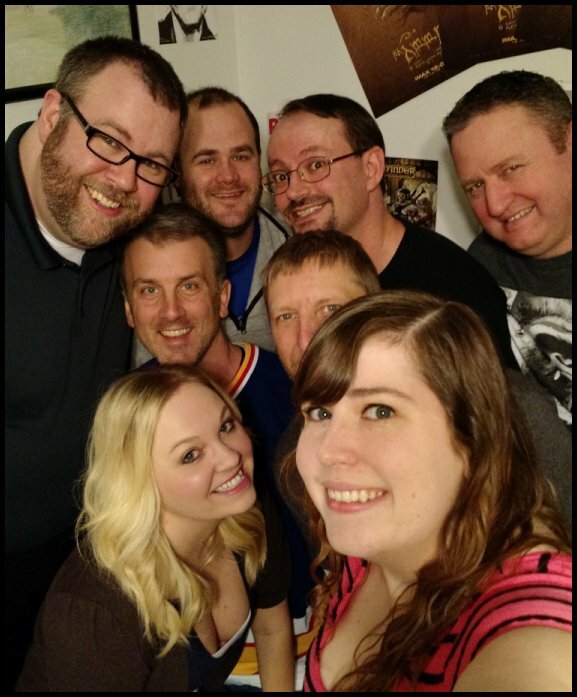 Overall the first adventure was a lot of fun and had us all playing later than we typically would. My pre-game prep was solid and there were only a few takeaways I feel i could have considered better ahead of time. I could have done a better job coming up with scenarios for the NPCs to instigate conversations with the players. By nature a number of players aren’t the type to instigate that sort of thing. I wish I would have encouraged everyone to take Undercommon as a language, even if it meant coming up with reasons why they would. It will certainly be interesting to see where this goes with needing multiple language to convey things however. I may end up liking the difficulty. I did all of the battles without laying out a battle grid and while I like how fast narrative battling ends up making things move I can tell the guys were a bit put off by it. They like their minis and the strategies that a grid based combat allows for. So far Out of the Abyss is great stuff. I can’t wait to see where this leads and the guys seem to really be digging it. Let’s see if they survive eh? Please feel free to comment below! 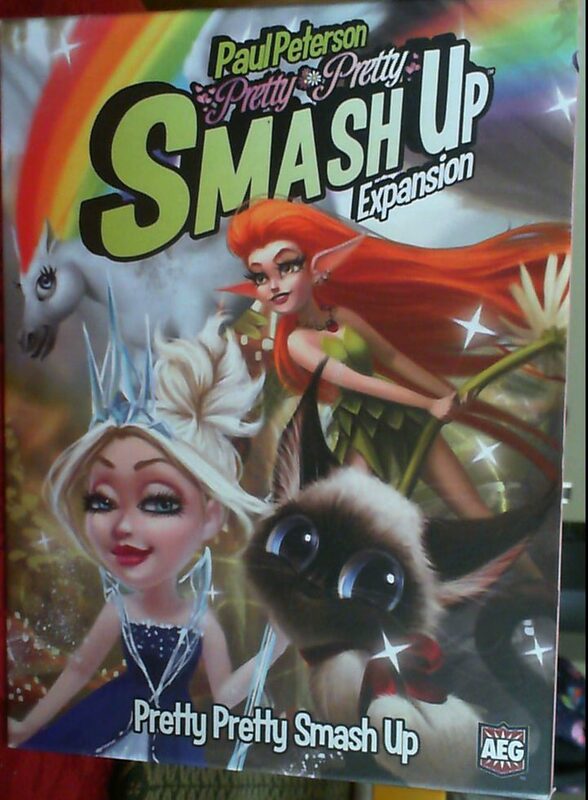 When I was just starting Junior High I was on the cusp of truly beginning my path into tabletop gaming. I had already been introduced, thanks to my good buddy Nick, to Dungeons and Dragons. We barely knew how to actually play that game though and it wasn’t until a few years later that we’d really get into it. However, we had also discovered Magic the Gathering, and the barrier to entry for the trading card game was quite a bit lower. Assuming you had a place to play, and people to play with. This Logo meant a lot to me in my younger days. Our town didn’t have a game shop. I had to beg my parents to drive me to one that was roughly 30 mins away, and it would only be to buy things I could certainly never expect them to wait around while I played with other kids. I mean, my mother had lived through the days when games like D&D and Magic the Gathering were considered anti-christian so she had reservations about the whole business anyway (To her credit, she and I had a long conversation about it and she opted to trust my judgment over simply putting the kibosh on it). Needless to say, finding a place to play Magic the Gathering was tough. Enter Mr. Reeb. He was an art teacher at my Junior High School who, to my knowledge, knew nothing about Magic the Gathering beyond that it was a card game a few of us enjoyed, but he was willing to sacrifice his time every Thursday after school to let us play. Due to his volunteering spirit we had a much larger pool of fellow players, and it was during this time I really got to meet a larger swathe of kids who loved the same games I did. Of the many moments that led to me really loving tabletop games, Mr. Reeb’s MtG Thursdays can easily vie for top spot. It made for some really good times, I even got to know my first true Dungeon Master at those games (Shout out to Mike “The Meatfist” Bortz!). I’m well over a decade removed from those days but the memories have obviously held a little permanency within me so last year I started thinking of a way I could “Pay Forward” the good deed done unto me by Mr. Reeb, even though he may not even know what it meant to me (Looking forward to Thursdays helped me get over much of the drudgery associated with Junior High). 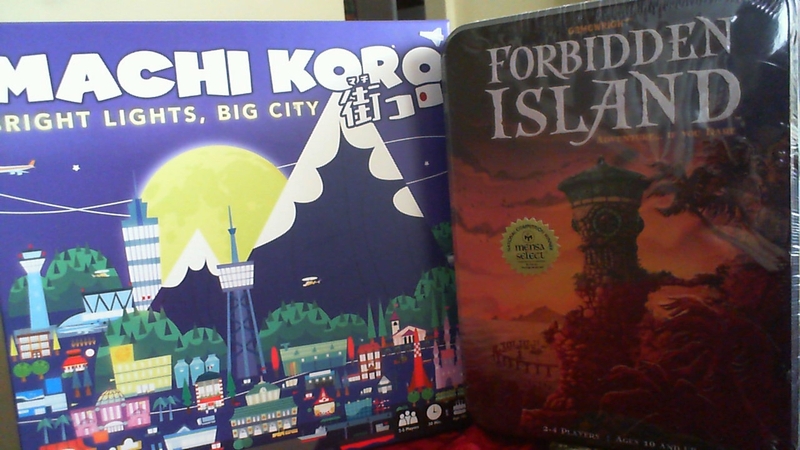 It’s obvious I hold a candle for this type of gaming, and how it’s helped me over the years, so when I looked into doing something for the youth of my city I knew it would involve tabletop gaming of some sort, I just didn’t know what it would be. So I made a move to do so, and it has been really succesful thus far. I’ve mentioned it a bit on the blog but didn’t want to come across braggadocious, or make it look like I wanted some claps on the back, so I’ve largely held what I’ve done close to the chest. Recently though I had a friend tell me that I should talk about it, not to garner praise (as I’m not interested in touting myself) but just in case it inspires others to try what I’ve done and my experiences starting the program could help them do so. 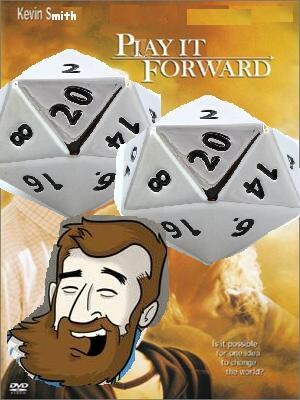 So, let me tell you how I’ve been going about “Playing it Forward”! or two they would be holding their 1st (hopefully annual) Teen Fandom Convention. It was her idea, and you have seen me write about this, for me to come and do a panel on tabletop gaming. This way we could see what sort of interest was out there. The panel was a hit, as was the con actually, and we started making plans to start the club I’d initially envisioned. Neither Maggie or I were sure what to expect initially. In fact Maggie, despite displaying a strong nerdy slant herself, had never dabbled too much into tabletop gaming beyond some board games. So this was mostly an experiment. Day one arrived and I only had a few signed up, I didn’t know what they wanted to play so I brought most everything I owned. That was the day I first met Kaleab and Kya, two kids who would become the backbone of the group. I pitched everything I had brought to the group just to see what they would be interested in and it was soon apparent they wanted to try out Dungeons and Dragons, they’d heard the name before but knew nothing about it. I was ecstatic, I love D&D obviously and they wanted to play. 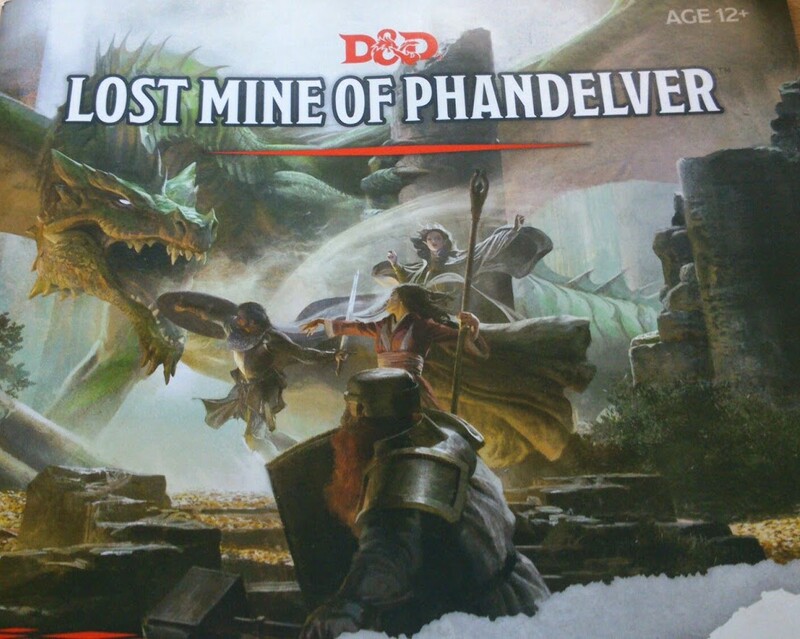 Honestly I was thankful for the small group because it meant I could just open the 5th Edition Starter Set, containing the adventure “The Lost Mine of Phandelver”, and get right down to business. To my great joy they were smitten. For the next year I continued to run the adventure, the kids battled the goblins who’d been marauding along the road, they removed the scourge of the Red Cloak gang in the town of Phandalin, and they even gathered information from the likes of Banshees and Necromancers to help find their missing dwarven friend. Kya and Kaleab were always there, and there were occasionally a few other kids who would show. A girl named Deva had become a regular by December as well. For Christmas I got three sets of dice for my three regulars, I wanted to buy them all Player’s Handbooks but it just wasn’t something I could afford to do. However, gifted dice are always the best dice as I’ve been told. 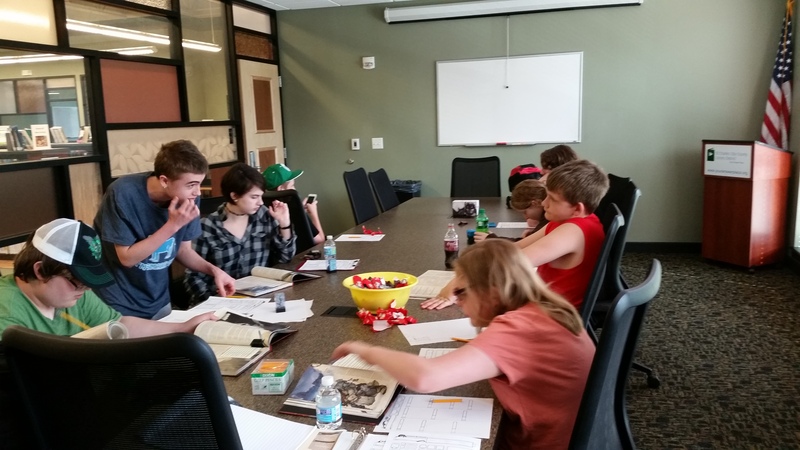 During the last year my little group inspired another branch to open their doors to gamers, this time specifically with tabletop roleplaying in mind, and not limited to teens. 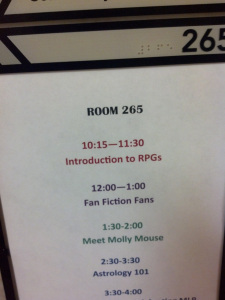 I attended the first session just to say hi to some fellow gamers I’d never met and I left it at that and simply advised a bit through email with the library employee in charge of that one, Melissa. soon it became apparent that there was more interest than there were Game Masters so Melissa asked me if I’d come be a GM for a session or two. Months later, I’m still sitting in! To my delight I found out that Kya and Kaleab were some of the new attendees that drove up the numbers. Add to that some adults named Gary and Bill would become regulars as well. We are now four sessions into a story I came up with on my own and Kaleab has even told me he likes my adventure more than Lost Mine (sorry Wizards of the Coast ;P!). Last month Kaleab, Kya, and Deva lost their PCs in The Lost Mine of Phandelver to a TPK (Total Party Kill). I didn’t want it to happen any more than they did, but sometimes the dice fall where they fall. I did let them know that this wasn’t all bad though, it just meant we got to make new characters and start a brand new adventure! Trouble is, they wanted to make their own this time and with only two hours a month to play I knew it might take a while to make three characters, with three newish players, using one Player’s Handbook. So I did what any social media addict would do, I put my lament on Twitter. I received a lot of good advice, most of which I already knew, regarding the free rules out there that WotC was kind enough to give us but I knew that wasn’t enough. They’d had a taste of the full spectrum of options and the characters they wanted to play were simply not available in the free set of rules. 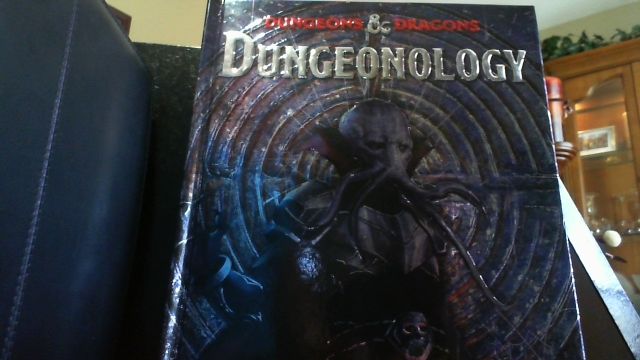 Out of nowhere I was sent a Direct Message from my friend Jerry Behrendt (@Dungeonleft), he dismissed all pleasantries and simply said “what’s your address, I’m buying and mailing you a Player’s Handbook”. I was floored by his kind offer and quickly took him up on it. I gave him praise on Twitter and, not to be outdone, @TheAngryGM himself, Scott Rehm, immediately asked if he could also supply a book. I was once again touched by the generosity of our community. I realized that though I couldn’t afford to buy three books I could certainly afford one so I bought the remaining PHB and completed the set. I received the books in the mail. The Angry GM even supplied three sets of dice, mirroring my own belief that gifted dice are special things. 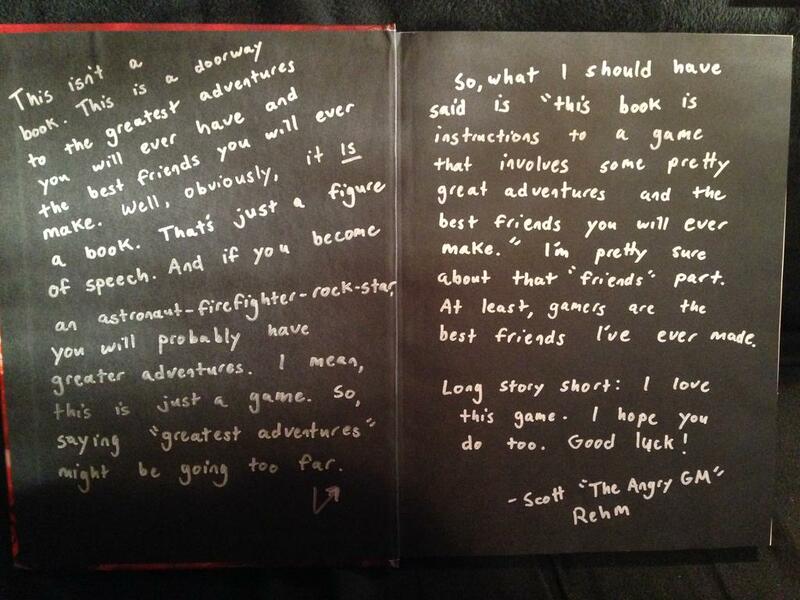 Inside the cover of Scott’s book he’d even written a very un-Angry message to the kids, though don’t spread that around too much, the man does have a reputation to uphold. I was all set to present the books to the kids yesterday. I was honestly giddy about it and, admittedly, a bit misty eyed (I’m a big softy). Turns out though, I didn’t just have my three regulars, I had in attendance for the first time EIGHT KIDS! Turns out when school lets out kids and their parents tend to look for things to do, I hadn’t even considered I’d see an uptick like this. I was… well, I was a bit unprepared. I didn’t have time to generate pre-mades, or even use the ones already out there, plus I didn’t even know what game(s) they would want to play. There came a moment when all eight pairs of eyes were on me that I actually got a bit nervous, a rare thing for this ex Theater guy, what kind of games were they expecting from me? Once again, like I had roughly a year ago, I’d brought everything. Board games, all my RPGs, even some card protectors in case there were some trading card lovers in attendance. I knew Kaleab and Kya still wanted to play D&D (Deva couldn’t make it), and we’d picked up another player from Saturday named Aaron but I wanted to let the other kids know that they could play whatever they wanted. Well, one kid saw Kya’s character sheet and asked what they were getting ready to play. I told him about D&D, his eyes lit and he simply said “I want to play that!” Just like that I had eight kids, four PHBs and a lot of explaining to do. The kids are hard at work crafting legends. Mostly I’m going to just finish up the kids’ characters for them, with the exception of a few who know a bit more about what they are doing, and we are going to play next month. I’ve toyed with the idea of bringing Topher along with me so we run two games, he’s expressed plenty of interest in helping, but figure I’d see if the new kids stick around first. I’ll also have the added benefit of seeing most of them next Saturday at the 2nd annual Teen Fandom Con, hopefully it helps keep their interest sparked! So glad to see year #2! I want this to grow, I’d love to see it grow. One day I’d love to see a huge group of kids playing games, and even see the older kids running games for the new batches coming in. As much as I adore running the games myself the next step is seeing it all become self-sufficient. If that means I become more like my inspiration, Mr. Reeb, where I simply hang back to act as a mentor and overseer of the whole deal I am more than willing to step away from the actual table. I’ll never forget the early days running games for just Kaleab and Kya though, or the generosity of those first two donated books (I’ll get mine to Deva eventually I hope, or it may find itself in the hands of another young recruit). If I can help even one kid have something cool to look forward to the first Thursday of every month that helps them forget some of the struggles they face, I feel like I’ve done enough. Plus, my favorite hobby gets to grow, and I love that! 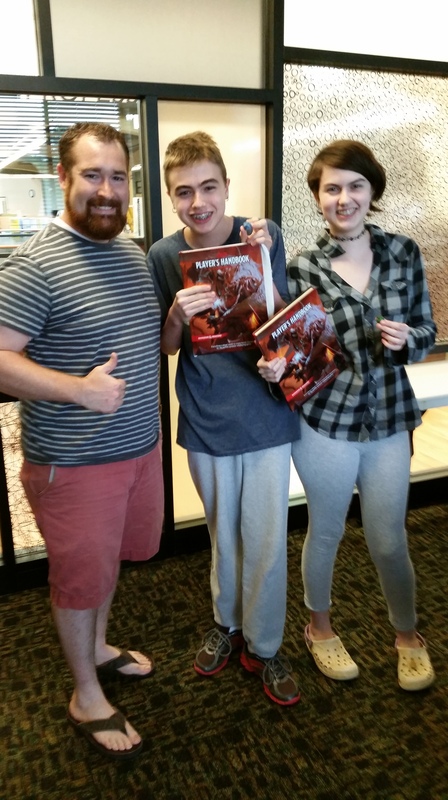 For those wondering this is Kaleab and Kya with their new books! Sadly Deva didn’t make it but I still have hers. P.S. If you have any desire to mirror in your community what I’m doing here and think I could help you do that in some way, please let me know. I will help in any way I can! 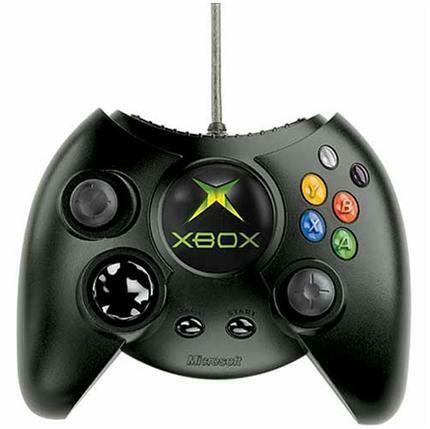 Topher’s List of the Worst Console Controllers Ever: NUMBER 1 WILL BLOW YOU AWAY! *Topher’s back folks, and he’s still talking vidja games. This time he’s running down his list of the five worst contollers to ever grave a gaming console! Kevin and I were talking about Destiny and the similarities and differences to the Halo series when we went off on a tangent. 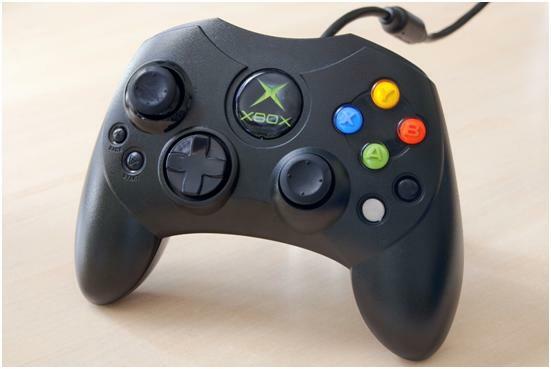 In the middle of a sentence, I was suddenly struck by the idea of the original Xbox controller, mainly, the memory of ill-fated small black and white buttons. This got me thinking. 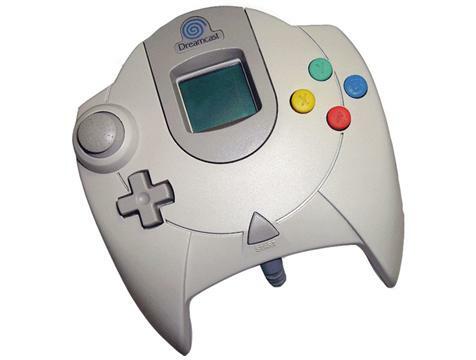 What is the worst controller ever made? Well, I’ve put some thought into it, and here is my list of the 5 worst controllers of all time. 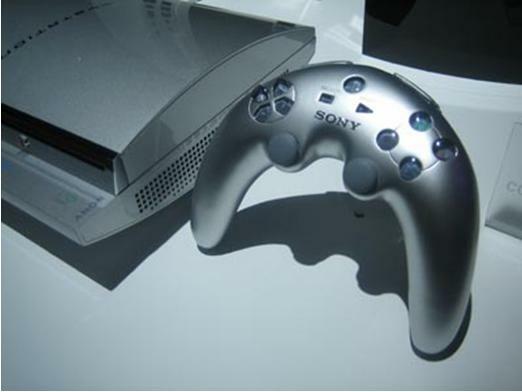 Starting in reverse order: NUMBER 5 The silver boomerangs, concept controller, PlayStation 3 Do you remember the internet blowing up when this photo of the PS 3 leaked? The PlayStation controller is about as perfect as you can get on a modern gaming system’s controller. So perfect in fact, that Sony has sued when it has been imitated. (This is probably the reason that the number 2 entry exist.) But, what was Sony thinking they changed perfection? On this design, reaching the L and R buttons would have been extremely difficult and you would be sliding off the circle button. I would have also expected it to come flying back to me when I threw it in frustration…..yeah, I’m that guy. This controller was never officially released. The design was changed back after the criticism surfaced. 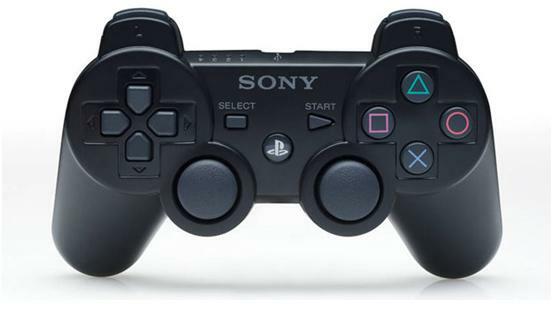 The controller was changed to the SixAxis design before the release of the PS3. Good call Sony. NUMBER 4 DOL-003, Nintendo GameCube Honestly, I had a hard time deciding which I hated most: the GameCube controller or the N64 controller. 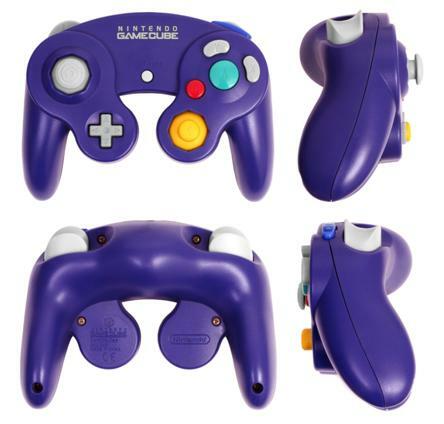 I really didn’t like the N64 controller either because the stick was in the middle, but that is about its only problem, so I went with the GameCube controller. The initial design is alright. The controller fits in your hands, you can reach all the buttons, but I have three major problems with this layout. Why is the right stick smaller than the left? You use it less, yes, but when you do need to use it, I always left like my thumb was falling off. In fact, that happened quite often. This stick also wore out fairly quickly too. I remember lots of them being worn down and even more difficult to use once the controller was broken in. Why is the A-button so much bigger than the B button? You use both of them, yes, not equally, but you still need to be able to hit the other buttons. Why not make them all equal? The X button and Y button should not go around the A button. Going from X to B or B to Y is extremely challenging. The A button always inadvertently got pressed in the exchange. *Today my good buddy Topher pops in to give us a contributor piece that offers a look into some gaming I’m not nearly as familiar with, the world of Video Games. Bungie’s new game Destiny has gained a lot of hype leading into its launch and Topher seems to really dig it, but let’s here him chat about it! So, Kevin asked me to write a review of Destiny. First, Kevin thank you for letting me contribute to your site. Alright now that the mandatory kowtowing is over, let’s get to business. Destiny is a First-Person Shooter Massive Multiplayer Role Playing Game, or in other words a FPSMMORPG, for PlayStation 3, PlayStation 4, Xbox 360, and Xbox One. From the start I will tell you that I am currently playing the Xbox One version, and overall, the game is really good. Peter Dinklage is your companion and guide, a hyper intelligent robot called Ghost that brings you back to life. That’s right, Tyrion Lannister is your Sherpa. Do I need to say more? Good story if you overlook the typical Human = Good; Aliens = Bad; Earth = Doomed cliché, but have I mentioned Peter Dinklage voices your companion? Missions let you jump in quick and feel emerged in the struggle against the evil aliens known as the Darkness. The aliens are actually a solid enemy, and enemies are what make a game interesting. If the bad guys not good at their job, what’s the point? The enemy A.I. in Destiny actually utilizes, and get ready for this, LOGIC!!! If you snipe one of them, the rest actively try to get to cover. I hope this is the type of thinking more games start to employ in their enemies. I have killed too many faceless enemies because they are staring at the comrade who was just sniped. The map is set up into story missions to work your way through, and an open environment gives you the opportunity to sand box patrol as well, kill more baddies, and farm that sweet, sweet XP. The sandbox mode is awesome. This is something that any game with a RPG element needs. Bravo for including it Bungie. I will not give spoilers away, but the early on you see that the battles between humans and the Darkness have scarred the moon, after that I was all in for exterminating the enemy. NOBODY FRACKS WITH OUR MOON!!! Three classes so far. There are Titans, Hunters, and Warlocks. I will give you a quick breakdown of all of them so you can make an informed decision. Don’t worry though, you can make multiple characters. Hunters – Short for bounty hunter. 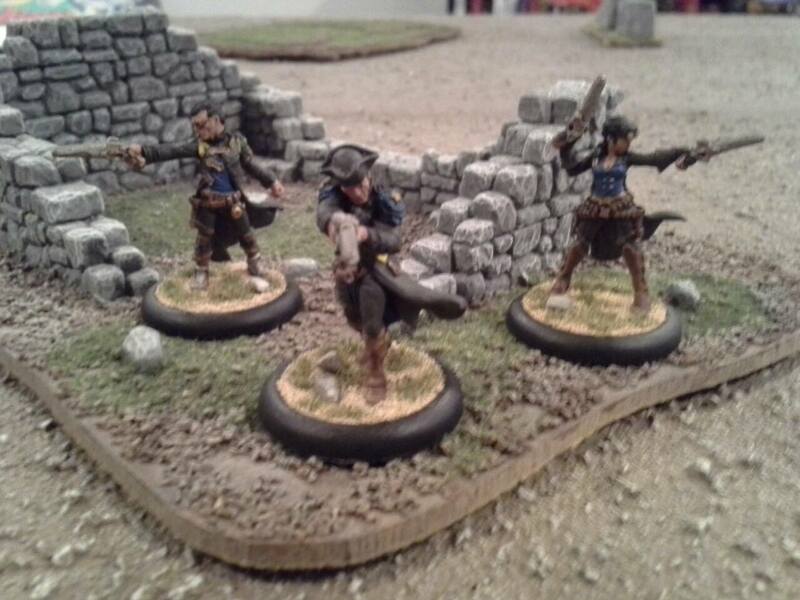 These are the nimble gunslingers. Warlocks – Kind of like someone with force powers that also uses guns. 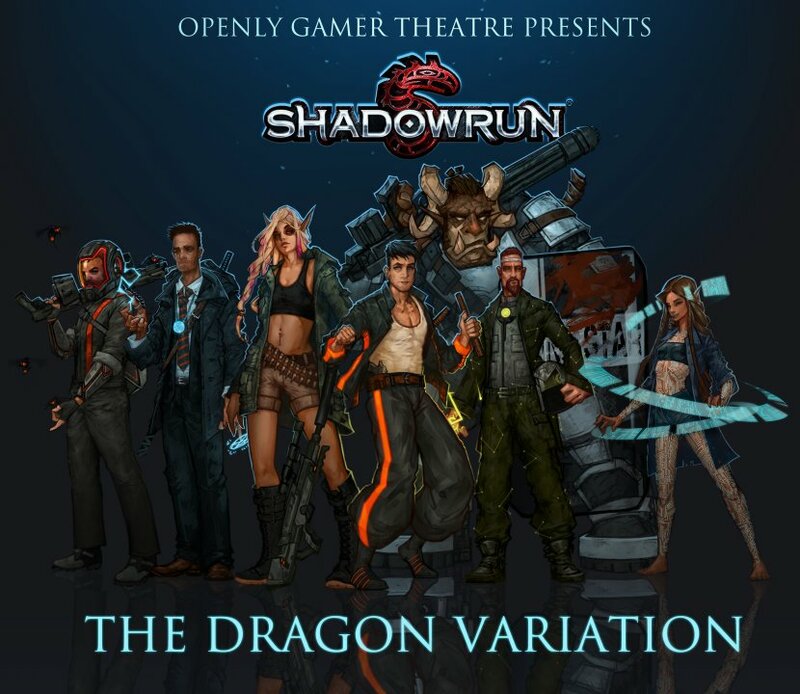 There are also 3 races to choose from when making a character. They are nothing but cosmetic, so just pick the one that you think look coolest. Humans – Well, they are human…. The visuals are stunning. 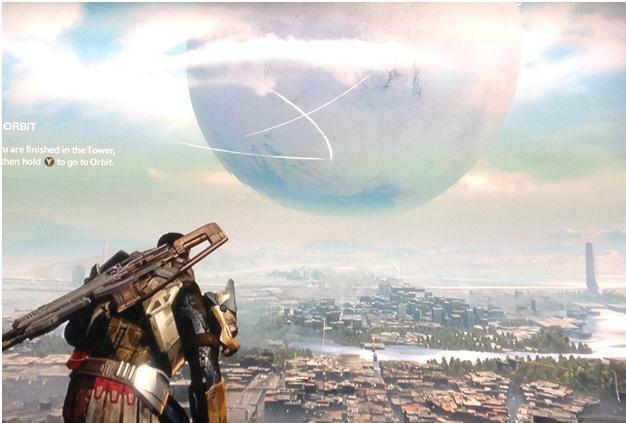 Bungie has their in house engine for Destiny and so far it looks great. I am yet to see a major bug. I don’t need to say any more, because instead look at this picture of me pretending I am Ezio Auditore da Firenze. The controls are a throwback to the Halo series, not surprising since the game was made by Bungie. So, the learning curve on the controller is actually quite quick. All the standard buttons are the same and the powers a really well mapped. 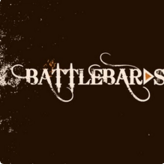 This allows the player the ability to quickly remember where there buttons are mapped and to expend their skills expertly in battle. You also have a failsafe of using two buttons to unleash your big damaging dealing power. So if you don’t get that to land properly, it was your fault and not the controller’s. Bungie has also taken some of the things that Halo was lacking and incorporated these into the controls. The right stick now allows the player to sprint to avoid enemies or to retreat and heal. This is a huge boon to the combat system. If there was one thing that Halo was missing it was sprinting. Too many times would I find myself getting shot in the back with the only option to save myself was to turn and charge my attacker or slowly lurch forward and pray that I made it to the inevitable fall to a lower level or grav portal or, if I was real luck, a large random purple crate. The land speeders take some getting used to. In the beginning their controls are counter intuitive. Your first bike has a brake on the right and accelerator on the left, you know, the opposite of any car you’ve ever driven. The reason it is set up like this is because later on your bike can get a gun, then right trigger is a gun and all is right with the world. Side note: The menu’s controls are awesome. They control like you have a curser and a mouse. It gives you the feel of being closer to a PC game. A small thing, but the emersion value is huge. 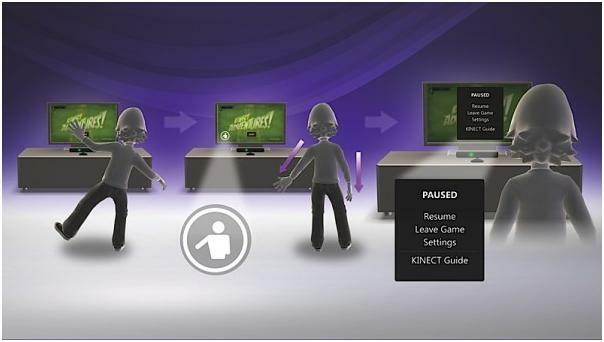 First, Xbox One, fix your multiplayer and party options. They are AWFUL!!! Alright, now that I got that out of my system, cooperative multiplayer is amazing. 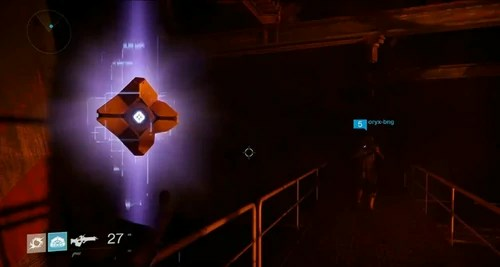 You can form a three man fireteam to take down story missions or explore in the sandbox. Since everyone is on their own counsel, you can go where ever you want and scatter the wind. I always find this appealing. It allows you to attack from multiple directions at once. 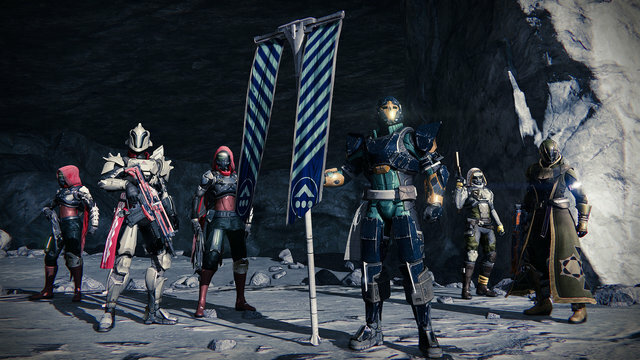 This multiplayer is one of the strongest parts of Destiny. Now, competitive multiplayer has some problems. This first being that some people you play online will be much higher level than yourself. This means they have unlocked more powers, gotten better weapons, and can take more damage. I do not know if they scale the powers back or up to compensate and make the playing field easy for those people that have, what do you call those things, oh right, jobs and can’t sit around a dorm room playing video games all day. (Sigh….I miss college so much…) You can still be competitive in multiplayer mode, but be prepared to take a beating every now and again. Great game overall. I have enjoyed the hours I have already put into it and will definitely be playing this game for months to come. This game is a can’t miss. Go buy it right now. And I will see you online.